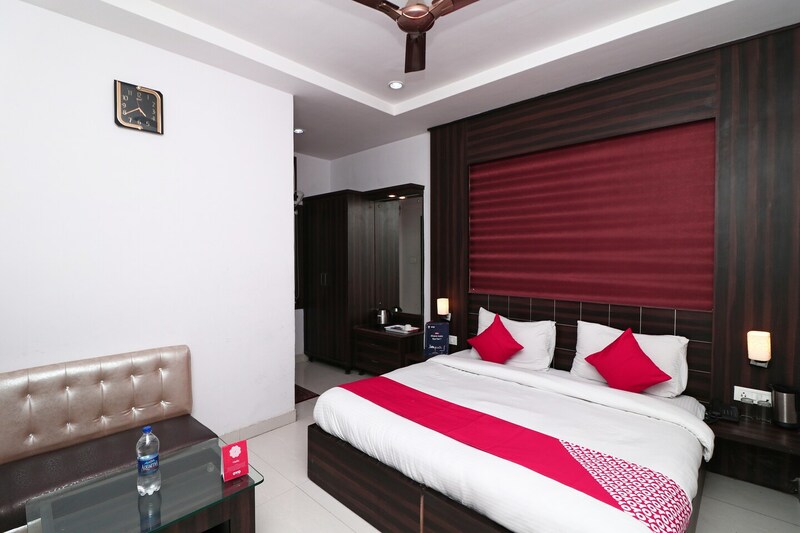 Hotel East Lite is an elegantly designed property with a large garden that is located in Civil Lines, near Bareilly Railway Station. The Bareilly Bus Stand, Gauri Shankar Temple, and Dargah Aala Hazrat are close by. The property has a large and beautiful garden, apart from a kitchen and spacious banquet hall and stylish lounge. It offers well decorated rooms equipped with modern wooden furniture. The rooms are bright and spacious. The rooms are equipped with modern amenities like TV, AC, and free Wi-Fi. CCTV cameras ensure security of the guests. The various other facilities offered include power backup, parking facility, laundry service and card payment. Guests can enjoy tasty treats at restaurants nearby, including Pizza Hut, Sagar Ratna and Akbari Restaurant.